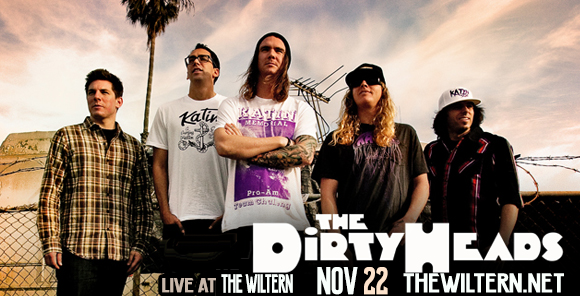 If you love upbeat Hiphop then The Dirty Heads are the ones for you! Get ready to feel good at their LIVE show this coming Fall/Winter as they take to the road across North America with Reggae heads, SOJA! This is a big tour for them so come and show your support as they bring their energy to the stage…. The Wiltern on Wednesday 22nd November 2017 is the place to be… Tickets are on sale right here – right now, book yours while you still can! The American band, Dirty Heads have definitely kept their Californian roots throughout their music with their sound that embodies funky Hiphop, hints of alternative rock that brings to mind the likes of Red Hot Chilli Peppers and of course elements of Reggae and Dub. Their recent touring dates have been supporting the likes of fellow artists such as; Sublime with Rome, 311, Gym Class Heroes and AER… but now these guys are owning the stage and are more than ready to headline and showcase what they have to offer! With their mix of sounds and great songwriting abilities, you will be singing along in no time and getting your skank on at their live shows… don't wait too long to grab your tickets and head on down to a venue near you this November! The time is almost here!